Patricia Dennehy RN NP has written an Op-Ed for the Los Angeles Times explaining the role that Nurse Practitioners have as millions of people find new health care providers as part of expected Health Care reforms. She says that about 30 million people in America will be looking for new health care providers, about 6.9 million of them in California, where she lives and works. Unfortunately it won’t be very easy, as primary care physicians are increasingly moving to other types of practices, especially higher-paid specialties. 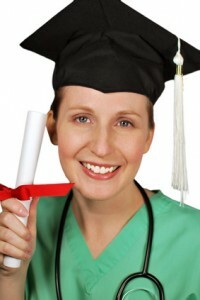 Dennehy argues that Nurse Practitioners, with their training and experience, are perfectly poised to fill that gap. “We’re fully prepared to provide excellent primary care,” she says. Clinics like the one I direct in the heart of San Francisco’s Tenderloin district — GLIDE Health Services — offer a hopeful glimpse into California’s healthcare future. We are a federally funded, affordable clinic, run almost entirely by nurse practitioners. At our clinic, we nurses and talented specialists provide high-quality, comprehensive primary care to more than 3,200 patients each year. Despite the special hardships of our clientele, who daily cope with the negative effects on health caused by poverty, unemployment and substance abuse, our results routinely compare favorably with those of mainstream physicians. Our patients with diabetes, for example, report regularly for checkups, take their meds as directed and maintain relatively low average blood-sugar levels. At last count, there were more than 250 nurse-run clinics nationwide similar to GLIDE Health Services. We and about 20 others are funded by a special federal program for affordable care. In all of these projects, nurse practitioners offer both primary and preventive care, including mental health services and screening for HIV and diabetes. Researchers have confirmed that such clinics not only improve local health but also save taxpayers money. Nurse practitioners’ salaries are generally lower than those of physicians. At the same time, the comprehensive care we provide can significantly reduce the costly emergency room visits used by all too many low-income Americans as their default healthcare. Unfortunately, some major obstacles stand in the way of expanding our money-saving model. One big hurdle is the reluctance of leading private health plans to contract with nurse practitioners as primary care providers. Even as Medicare, Medi-Cal and pioneering local programs for the uninsured, such as “Healthy San Francisco,” now contract with nurse practitioners to provide such care, a 2009 study by the National Nursing Centers Consortium found that nearly half of the country’s major managed care organizations don’t. Some of the holdout companies require nurses to bill for their services under a physician’s supervision. California’s insurance code only requires insurance companies to contract with nurse practitioners for primary care when it involves Medicare or Medi-Cal. If the code were expanded to include all coverage, access in the state would be greatly improved. There is room for reform on these fronts and others, and we should get started now to enact change. 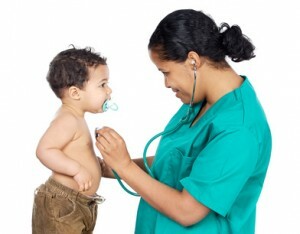 In October 2010, the Institute of Medicine, an arm of the National Academy of Sciences, issued a landmark report called “The Future of Nursing,” in which it urged that nurses be “full partners, with physicians and other health care professionals, in redesigning health care in the United States.” At clinics such as GLIDE Health Services, we’re showing that we’re more than ready to answer this challenge, and take our places on the front lines of healthcare reform in America.